Venezuela devalued its currency by almost 35 per cent on Monday to bring it into line with the exchange rate of the dollar on the black market. Exchanges will now be provided by a technological platform operated by a private firm called Interbanex, which said it would operate a "supply and demand" exchange. The announcement represents a huge about-turn by the socialist regime of Nicolas Maduro, which has imposed strict currency controls since 2003, all the while monopolizing foreign reserves. That forced individuals and businesses to turn to the black market to get dollars -- a necessity in a country wracked by an economic crisis marked by hyperinflation and shortages of basic necessities. However, the black market rate for the dollar was 30 times the official rate, as the government artificially overvalued the bolivar. Specialists have urged Maduro to abandon the policy of controlling exchange rates in order to combat the country's economic crisis and inflation, which the International Monetary Fund says will reach 10 million per cent this year. The move comes at a time when Venezuela is also mired in a political crisis after parliament head Juan Guaido declared himself "acting president" last week. Guaido was recognized as the legitimate interim president by a number of countries, including the United States, which has slapped tough economic sanctions on the Maduro regime. Maduro has accused the US and Guaido of attempting to engineer a coup d'etat. Consultant Asdrubal Oliveros, director of Ecoanalitica, says currency move has come too late. "With the dynamic the country is in, this isn't viable and it will make things worse," he said. 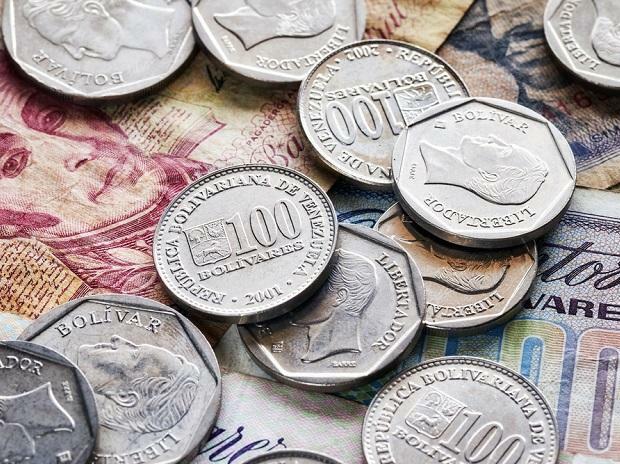 In August, Maduro launched a series of economic reforms including devaluing the bolivar by 96 per cent, but since then it has lost another 98 per cent of its value.